It’s summer so let’s be social! Take some time to relax with your neighbors while learning more about distilling in DC. 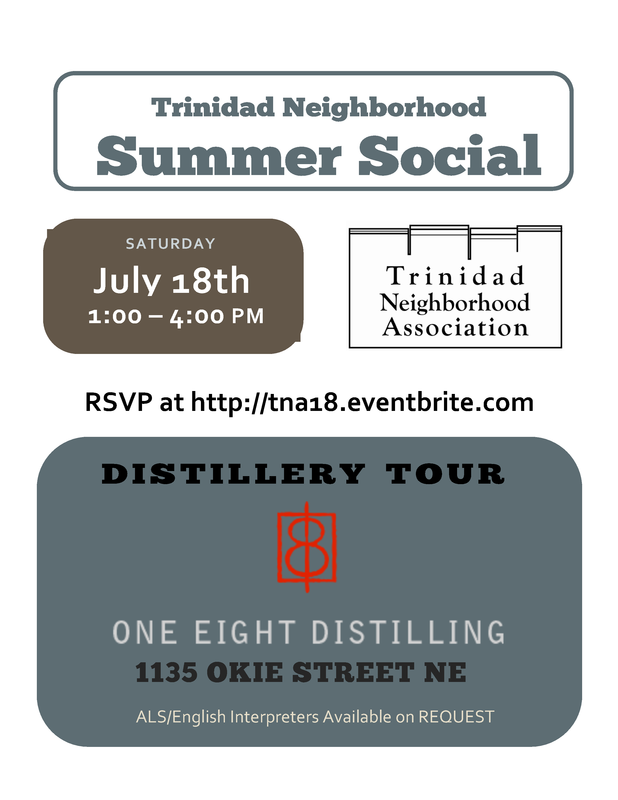 In Trinidad, we pride ourselves on community, so let’s all gather at One Eight Distilling to catch up with neighbors you know and get to know those you don’t. One Eight distillery opened in January in nearby Ivy City, revitalizing vacant industrial space in to a beautiful distillery and tasting room. Enjoy samples of their hand-crafted spirits and take a tour of the operations. Cocktails from the bar and food from BONMi food truck will also be available for sale. You must be 21+ and bring a vaild ID to the Distillery. ASL/English Interpreters are available on request. Please select the appropriate ticket when you RSVP so we can plan accordingly. Posted on July 7, 2015, in Entertainment and tagged One Eight, Summer Social. Bookmark the permalink. 1 Comment.